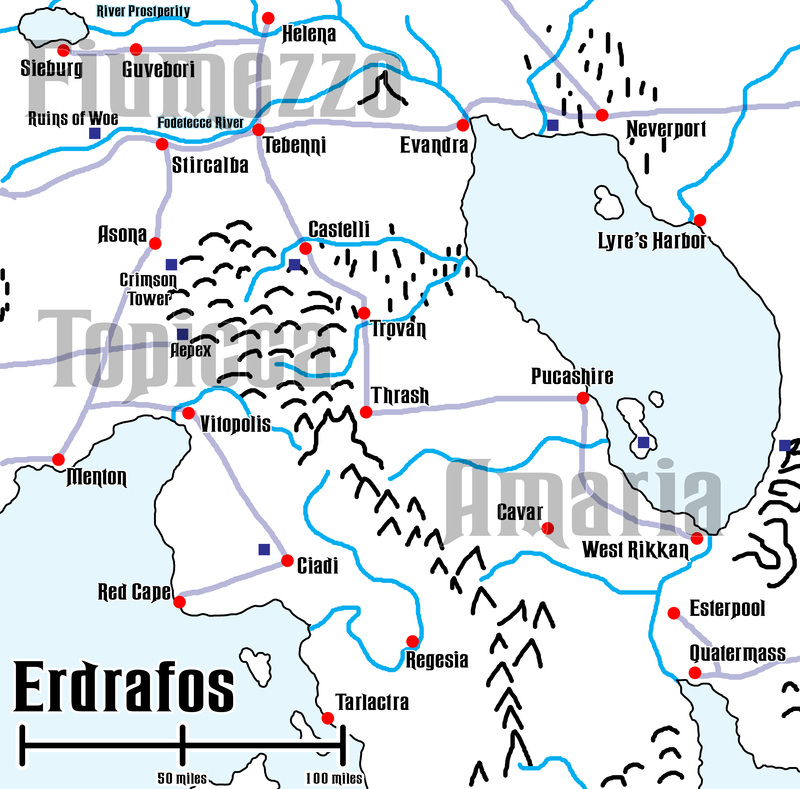 Erdrafos is the eastern-most duchy of Canstice. Its largest city is Evandra. 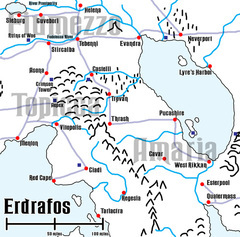 Erdrafos borders the kingdom of Vatharond to the east, separated by the River Prosperity. The region was originally divided into two smaller kingdoms during the Age of Kings. The two kingdoms were at different times both staunch allies and great enemies. 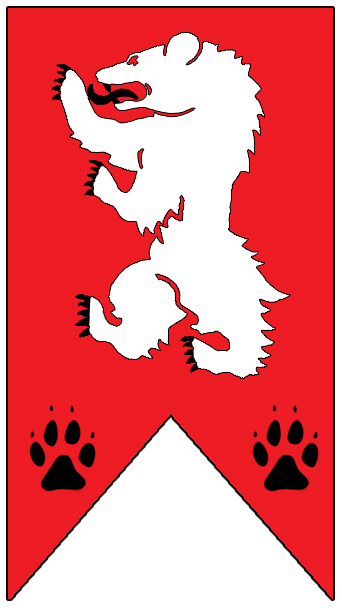 When the Kingdom of Canstice was formed, Erdrafos was named as one of the duchies, lorded over by the Grand Duke. The Broken Fangs hobgoblin tribe lairs in the mountains and highlands. In 1347 NS, The Grand Duke, Antoni il'Berzanti, was overthrown by the house of his wife, Martha il'Comelli. Martha, was killed in the ensuing violence, but the duke was able to escape with his child, Leonardo il'Berzanti. Vévaia River, south of the forest. Dogs are an essential part of Erdrafian culture, and no dog is more prized that the ogre hound. The breed is as old as myth, said to have been bred from the wolves. Prized for their intelligence and loyalty, these dogs are more than mere weapons or status symbols. The ogre hounds are an essential part of Erdrafian military strategy. Trained hounds can easily pull knights from horseback or break lines of pikemen, and the sight and sound of a wave of war dogs, howling and snarling, has been known to cause panic among even the most hardened infantry soldiers.